The time of remembering passwords to protect your computer is virtually over. 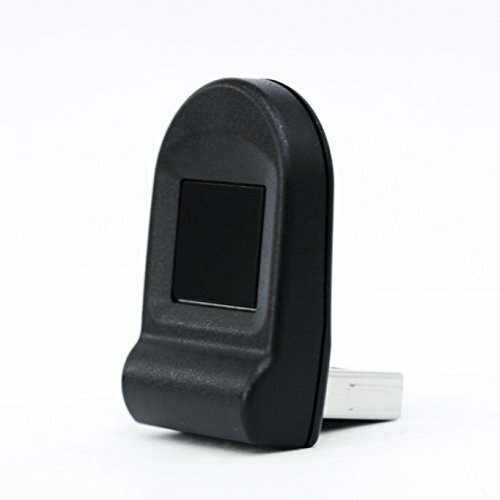 The Hello Fingerprint Reader from Startek makes it easy to protect the important files and information stored on computers at home and the office. Best of all, thanks to Windows Hello, a feature of Windows 10*, you'll be using your finger to unlock your computer in no time! No need to worry about downloading or installing software-just plug the reader into a USB port, go to Windows settings following simple instructions, and secure your computer with ease. *Compatible with Windows 10 only. We all know we should take steps to prevent others from turning on the computer and helping themselves, but strong passwords must be both long and complex. A password that is easy for a human to remember is also easily guessed using modern password hacking techniques. The Hello Fingerprint Reader solves both these problems at once! Get the security of a long password with the convenience of unlocking your computer with the touch of a finger! - Multiple scans of your fingerprint are taken during setup; touch the reader firmly with the finger to do so. - Mac OS, Linux, Android, ChromeOS, Windows 7, and other computer systems not supported at this time. - Contact the seller for help if you get stuck or are experiencing difficulties. If you have any questions about this product by STARTEK, contact us by completing and submitting the form below. If you are looking for a specif part number, please include it with your message.